When they offered me a factory tour, I was all in. I’d not seen how glass bottles were made on a production basis before, and was curious how they did it. 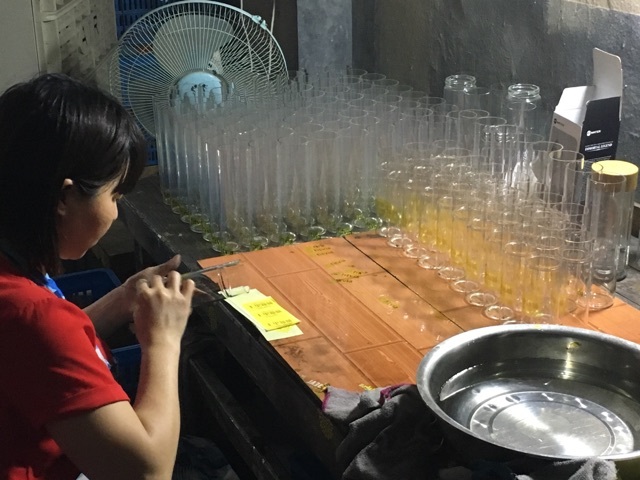 The picture above shows a worker going through the bottles before the threads have been added. 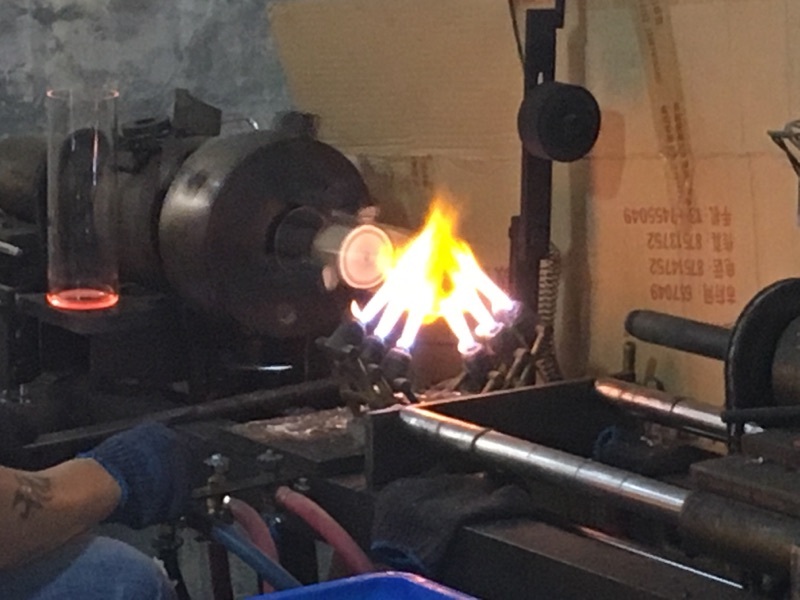 As we walked the factory, I was surprised to find out that they were cutting the threads in the bottle with a special lathe. 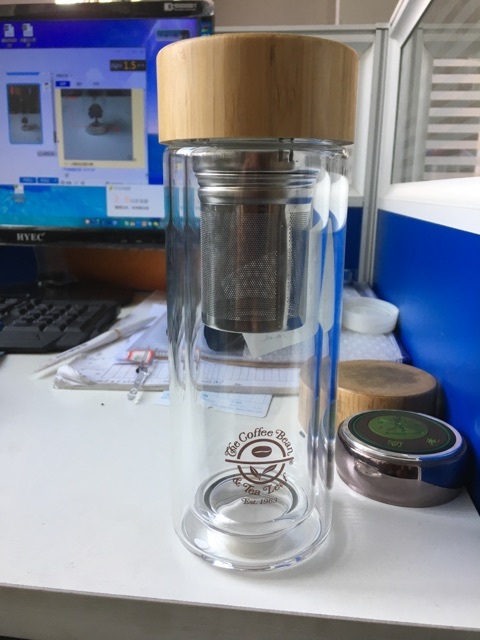 I had assumed the threads would be formed somehow, that perhaps the entire glass product might be made from a mold, but I was wrong. 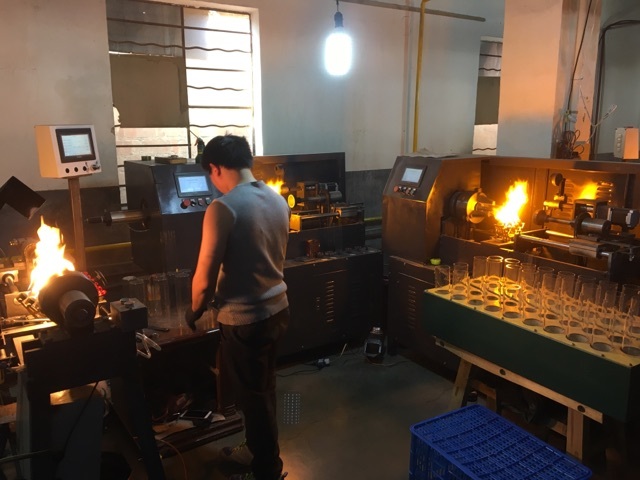 It’s a delicate operation; if the glass bottle is gripped too tightly in the chuck it could break, and the temperature and time that the bottles are heated need to be controlled too. They had one guy operating three lathes simultaneously; he was constantly moving from machine to machine to keep them going. A worker with his ability in the U.S. or Europe would be making upwards of $15.00-$20.00 an hour. The man running these three machines would be making somewhere between $2.00 and $3.00 an hour. We have sourced these and other glass products from China. Let us know if you have a glass product you’d like us to quote.